The NY banks are called the “UNTOUCHABLES” overseas. This policy of the banks claiming if they are not above the law then the US is screwed for it will not be able to sell its debt, is absurd and contributing to the demise of the United States and our way of living. Our computer is just about to grow legs and run as fast as it can because these people are destroying society and everything. Allowing banks to do as they like destroys the entire reason for coming together to form a society. The problem is government sees us as just food to sustain itself. They have lost all sense of this being a government by the people for the people. We are just now economic slaves to be lied to and manipulated for the benefit of government employees. Now a study has come out exposing that they hire SEC prosecutors to make sure they are not prosecuted. 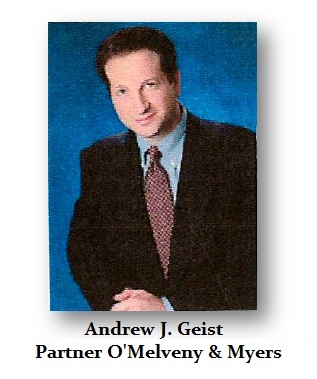 In our own case, the head of SEC enforcement Andrew J. Geist selected the law firm to be the receiver over Princeton Economics and made sure the employees could never be represented by a lawyer, and then resigned from the SEC and joined the very firm he selected to get millions of dollars in fees as a partner. If anyone did that outside of government you would get 25 years for such a fraud. The Second Circuit court of Appeals in NYC previously established that when a SEC prosecutor did the same thing back in 1979, they ruled that the law firm had to be disqualified (Armstrong v McAlpin 606 F2d 28 (2nd Cir 1979)). When I raised this several times, NO judge would uphold the law. When you stack the courts with former prosecutors, the law can never be enforced. Now there is a independent study saying the same thing. This whole thing is a joke. They refuse to see that trading volume is still down 50% and people just no longer trust what is going on. Just when will we clean house?